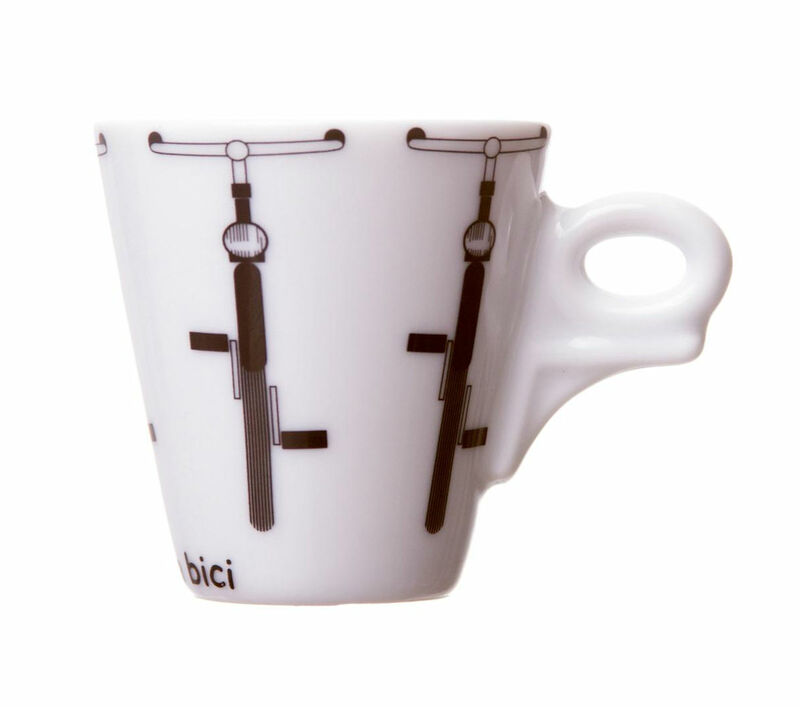 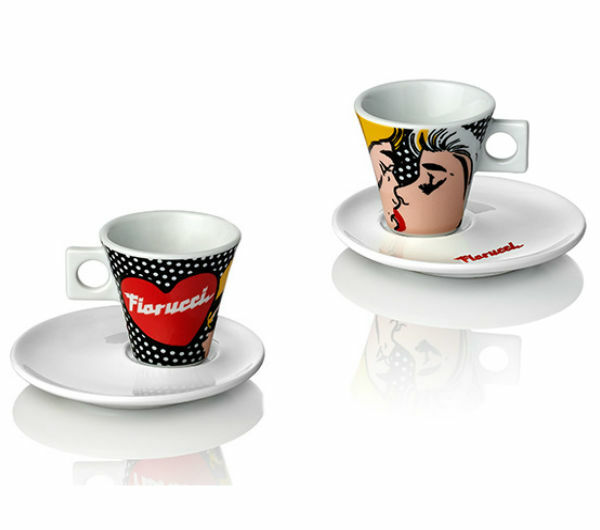 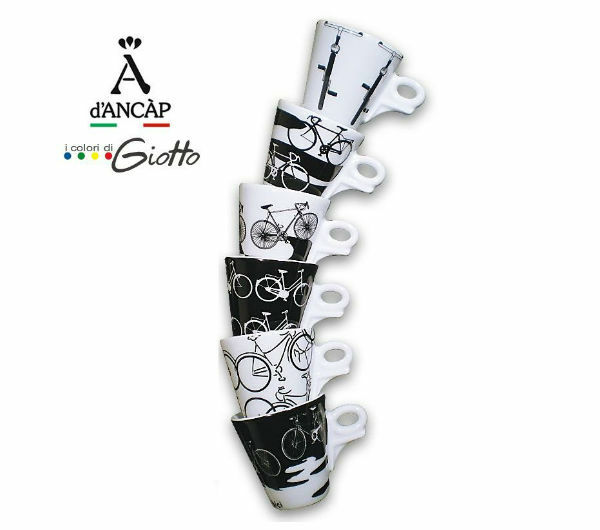 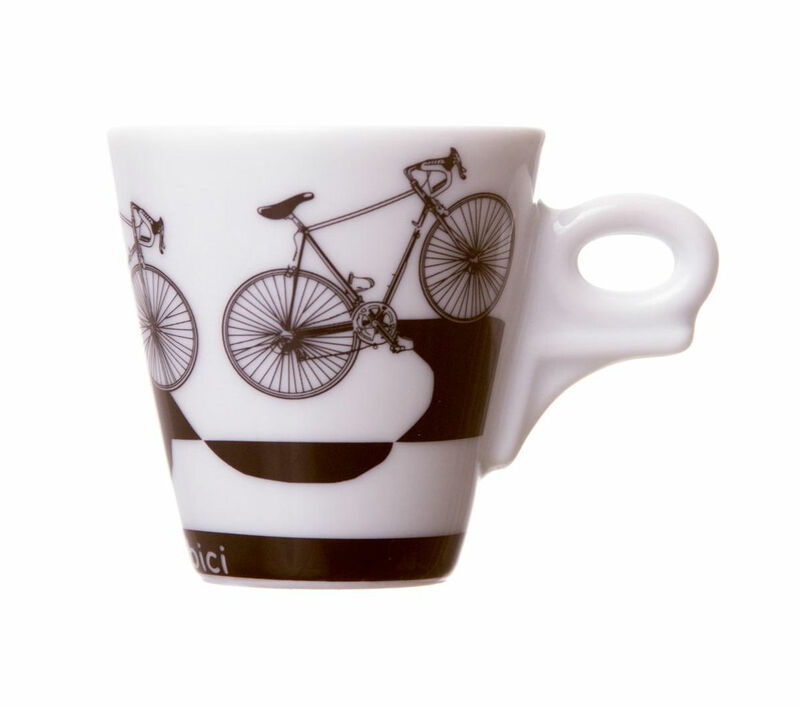 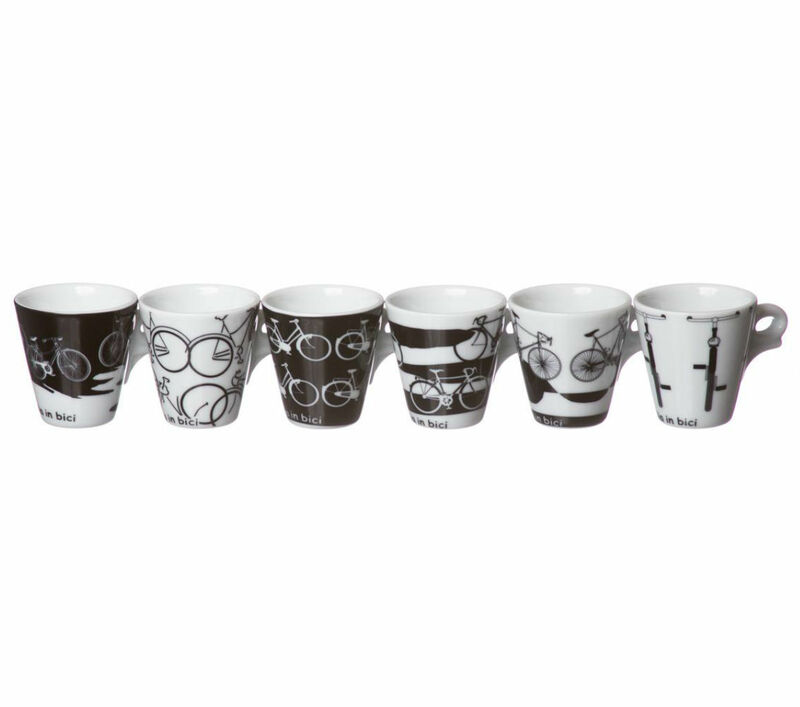 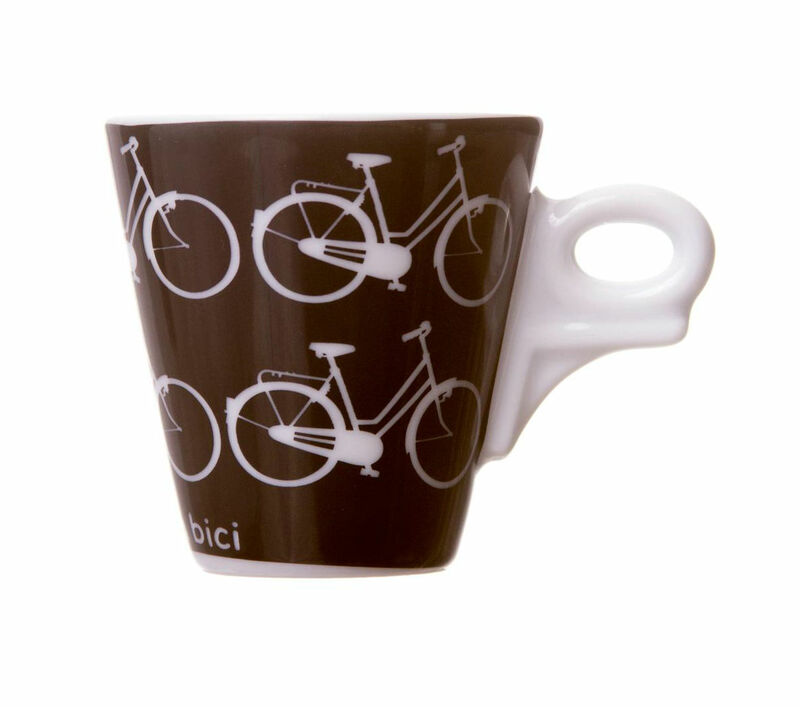 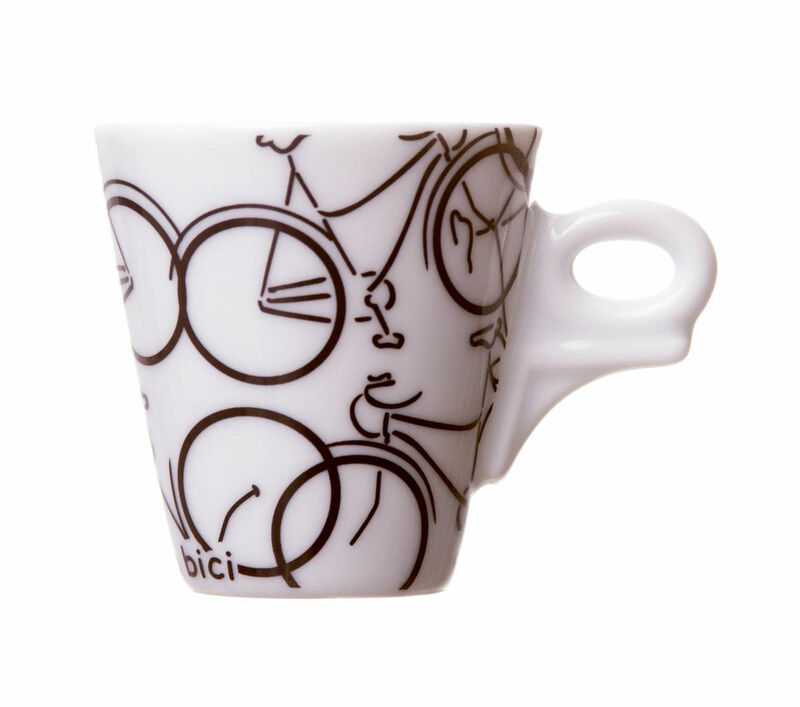 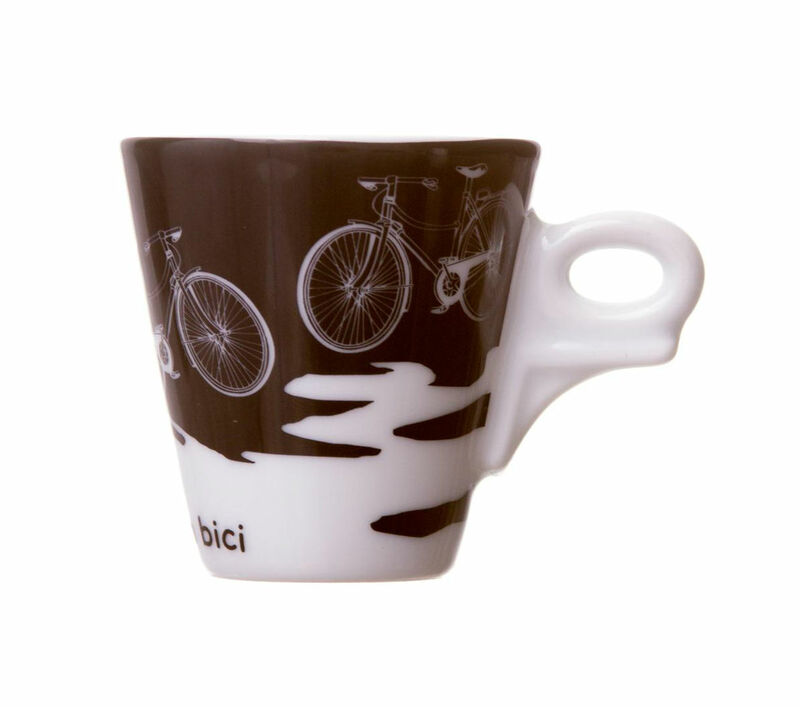 This popular set by d'Ancap is dedicated to the bicycle (Italia in Bici means "Italy on bike"). 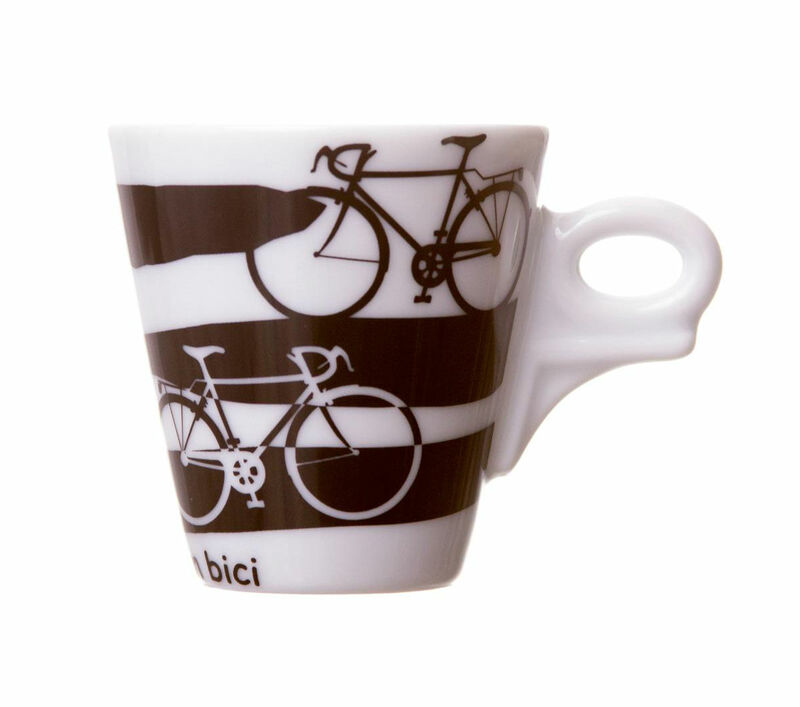 Besides being a useful everyday vehicle, the Italians every year eagerly await and passionately follow the "Giro" ("Giro d'Italia") races, which usually last several weeks and which consist of several separate stages, sometimes even crossing into neighbouring countries. 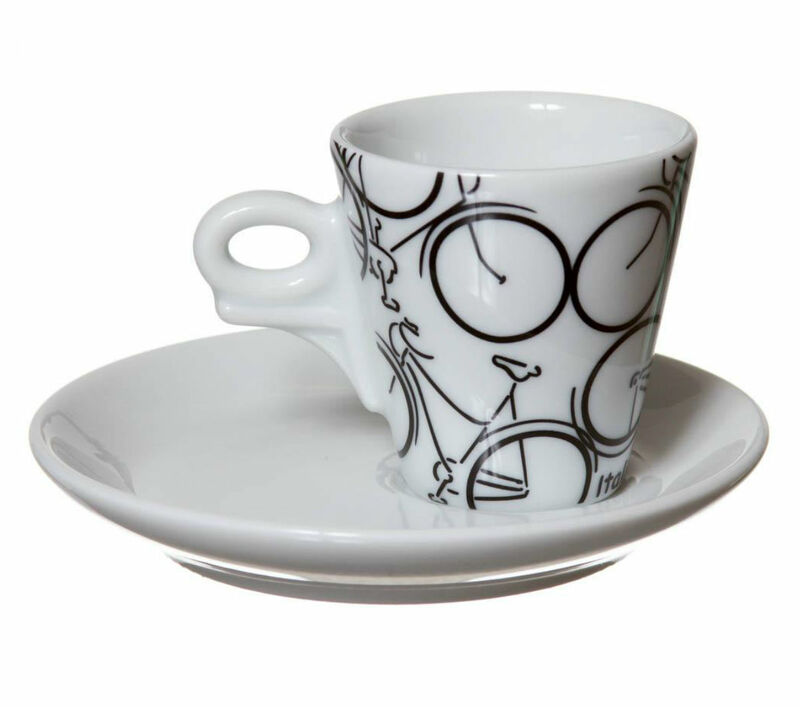 The cups are a classic d'Ancap bar standard model, made of hard porcelain and fired at high temperature (1410 degree C) - like all d'Ancap cups, and the porcelain features an excep-tional bright white. 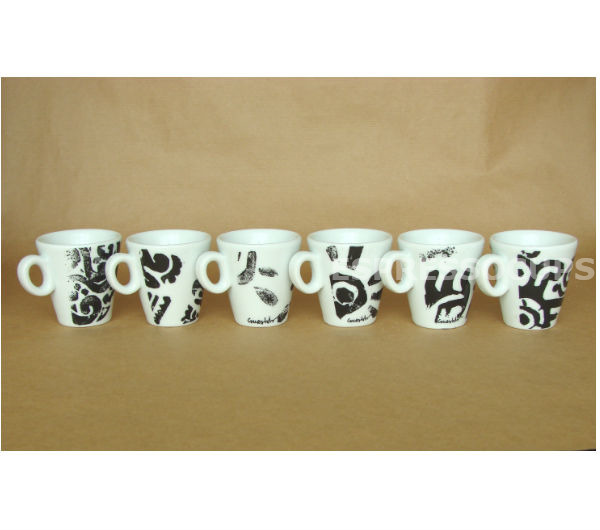 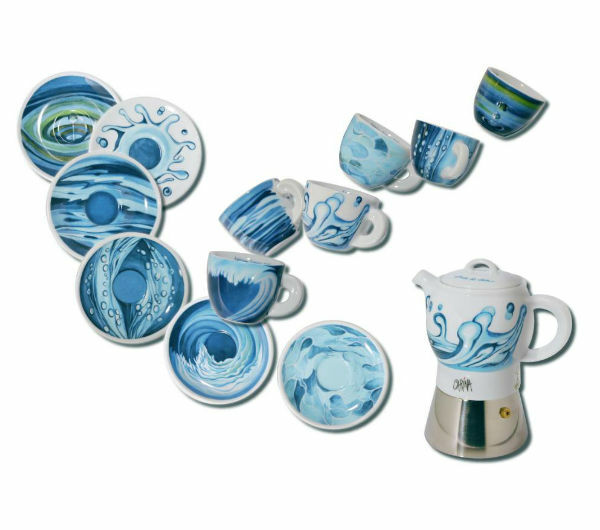 After the application of the images the cups are fired again so that they are dishwasher- and microwave-safe. 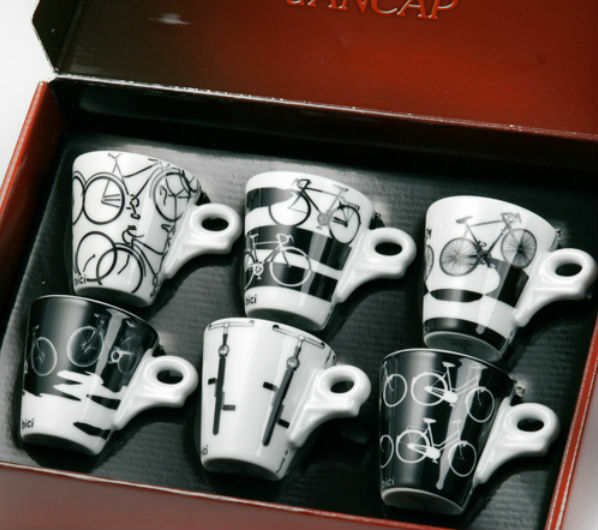 Made in Italy, at d'Ancap's factory in Sommacampagna near Verona.